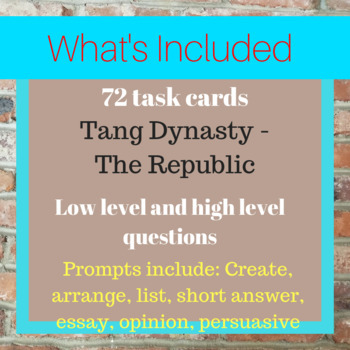 Chinese History Writing Task Cards: Tang Dynasty - The Republic includes 85 writing prompts that span low-level and high-level writing prompts. Some of the prompts are single prompts but many could be paired with others to scaffold essay writing. 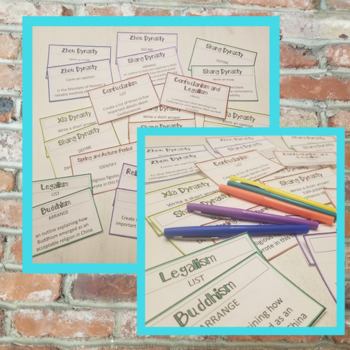 And these prompts will align with Common Core standards for History/Social Studies. 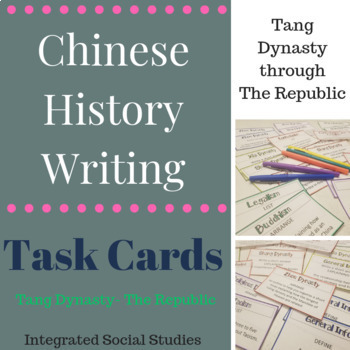 Dynasties and Time periods include: Tang Dynasty, Five Dynasties and Ten Kingdoms, Song Dynasty, Yuan Dynasty, Ming Dynasty, Qing Dynasty, The Republic. 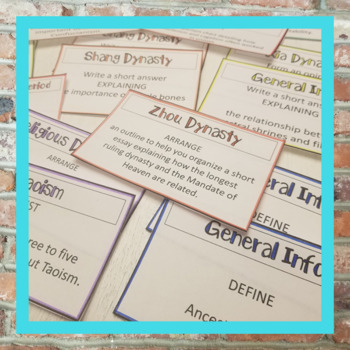 Chinese History Writing Task Cards: Xia Dynasty - Sui Dynasty available now!